incredibly happy to find this shirt while surfing the web. 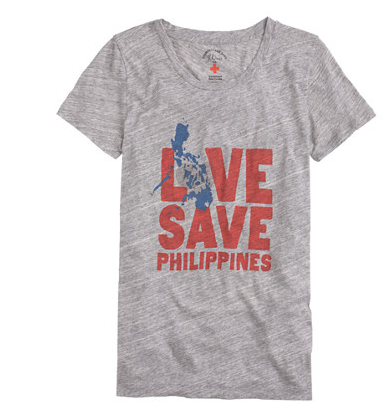 sartorially on-point, reasonably priced, and the best thing of all: 50% of the price will be donated to the American Red Cross for typhoon relief efforts in the Philippines. ‘Pinas, I miss you already. p.s. you can also donate to the american red cross directly.